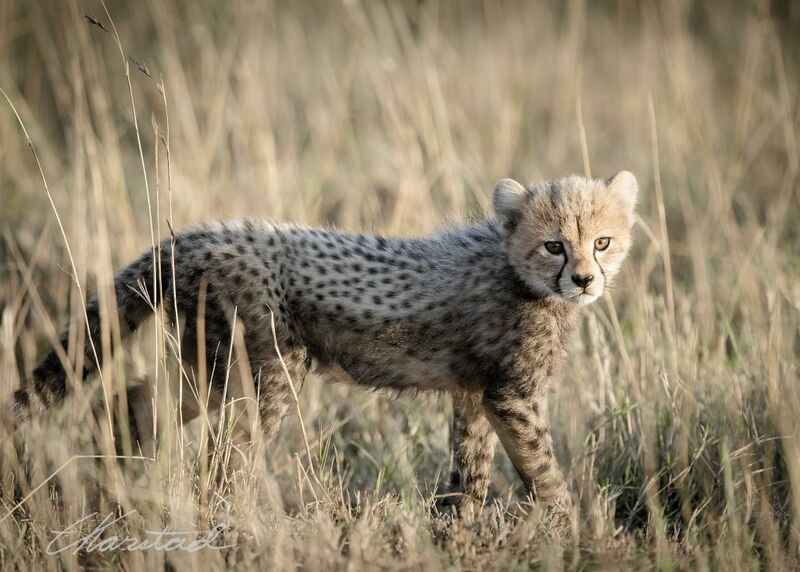 Cheetah cubs have a mane along their backs that adult's don't have. Maybe to let them look more big and fierce? And I've never met one that looked as if it ha a sense of humor.